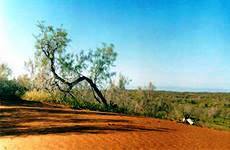 Kyzylkum (from Turkic means «red sand») – is a sandy desert between the rivers Amudarya and Syrdarya in Central Asia. Its area is 300 thousand sq. km. On the north-west the desert is limited by hollow of Aral Sea, on the north-east by Syrdarya and on the south-west is limited by Amudarya. The desert has row of hollows and separated mountains. Mountains of Kyzylkum are unique, there were found rich deposits of gold. 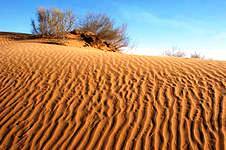 The most territory of kyzylkum is sand massifs. Maximum height of sand mountains is 75 metre. Climate in the desert is continental. It is hot in summer, middle temperature of June is 28 degree, in winter is from 0 to -9 degree. Precipitation is mainly in winter and spring. The most suitable time for travelling is from April to June and September-October. Here at this time you can see local animals: gazelles, black lizards, foxes, jerboas, hares, gophers, eagles, owls etc. Animals of this desert receive water from the food as they adapt to such kind of climate. In ancient time, Great Silk Road passed through the Kyzylkum desert. Thanks to it, such famous cities as Bukhara, Samarkand and Khiva prospered. People of different professions worked here: sellers, interpreters, guarder of caravans, tax collectors. It is very strange but there was hectic life in the desert. At first it seems that it is impossible to live here as living conditions are quite difficult and soil is not suitable for agriculture. Despite, for people who grew up and live in the desert, this land seems beautiful and majestic.